The 24% lead crystal photo frame is traditional in design and features diamond cutting on either side of the frame. 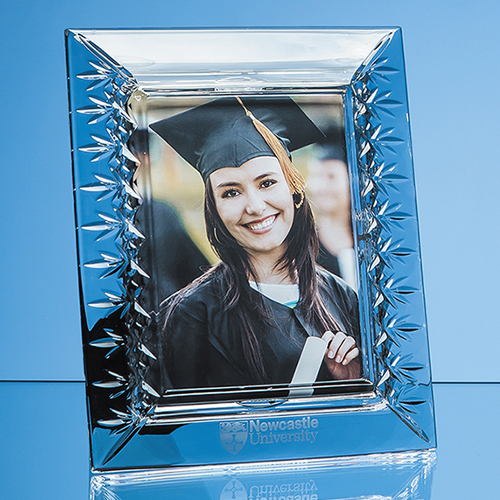 There is an engraving area above and below where the photo is displayed that can be personalised with any crest, logo or wording to create a gift that is sure to be treasured by the recipient. The frame holds a 5 x 7 inch photo and can stand vertically or horizontally.